Talking to kids about war can be challenging; it brings up revelations about death and killing that you may not feel ready to expose them to yet. Still, they are going to learn about war, whether at school or from the ever-present media. Books, particularly fiction, can be a safe way to introduce children to an unsavory, scary or sad topic. Many of the best war stories explore all sides of a conflict, making kids that much more knowledgeable and sympathetic about the earth-shattering reality that is war. 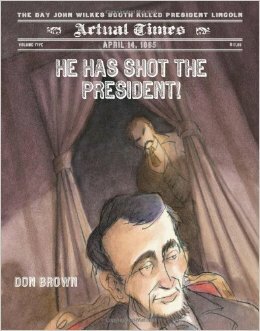 Inspired by Memorial Day and the 150th anniversary of the Civil War, I have compiled a list of Civil War-themed books for kids. There are so many more well-reviewed books on this topic for me to read and hopefully include on this list in the future. For now, though, I can only offer you what I have personally read and enjoyed. For each title, I suggest a grade level. If you are a parent or educator anxious about this subject matter, be sure to read the books before you give them to the children in your life. 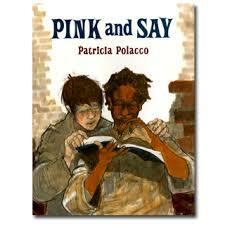 Patricia Polacco’s understated masterpiece tells the story of two union soldiers, Pink and Say, who meet on the battlefield. Say has been shot and is barely alive when Pink finds him in the field and brings him back to his mother’s house. Pink’s mother, Moe Moe Bay, is only too happy to take care of them, slowly nursing Say back to life. The presence of the two boys, however, puts Moe Moe Bay in great danger. Marauding Southern troops regularly visit her home in search of food and supplies and would not take kindly to union soldiers in confederate territory. Pink and Say are preparing to return to their troops one fateful day, when soldiers show up unexpectedly. Be ready to weep, my friends, for it does not end well. Polacco’s signature emotional artwork is on glorious display here in this memorable book. An author’s note explains how the story of Pink and Say is true, having been passed down from generation to generation. Recommended for the older elementary set, perhaps grade 4 and up, since the end of the story features heart wrenching images. 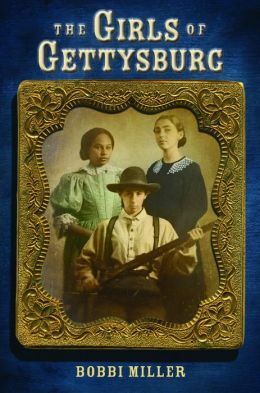 Miller’s story follows three girls’ experiences during the civil war: Tillie, a quick-thinking union supporter, Grace, a free African American, and Annie, a Southern girl disguised as a male Confederate Soldier. Tillie finds herself thrust into the role of nurse as she helps tend the wounded and dying, close to home. Grace grows increasingly anxious as word of the Confederate’s destructive March north spreads through her Pennsylvania town. When a group of runaway slaves show up, Grace goes into hiding with them. Annie is tired of being left behind by her brothers and decides to join up, disguised as a boy, enduring all of the hardships of a soldier’s life. While the abundance of characters and stories feels confusing at first, Miller soon finds her stride, successfully bringing her readers into three distinct civil war experiences. A very exciting read for historical fiction buffs of any age, but be forewarned: Miller doesn’t shy away from the gory reality of war injuries and death. Grade 4 and up. Like a River follows teenagers Leander and Polly, who cross paths briefly in a makeshift hospital in the South. Leander is a patient, recovering from an accident in which he blew his own arm off during a skirmish. Polly, disguised as “Paul,” is helping care for wounded soldiers, including her own ailing father. The first part of the novel follows Leander’s decision to join the cause, in an effort to be taken seriously and seen as a man. After his mishap with the enormous gun he marches with, Leander heads to the hospital and the narrative switches to Polly, who decides to rejoin her unit after her father passes away and is quickly taken prisoner one night and sent to Andersonville, the notoriously overcrowded prisoner of war camp. True to its title, this novel meanders through many people and places, but makes for a compelling read, particularly for kids interested in history. Grade 5 and up. 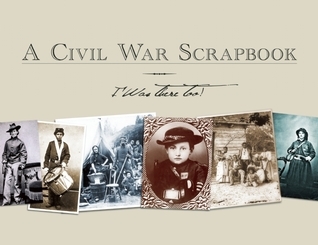 This exemplary non-fiction guide to the civil war is jam-packed with intriguing photos from the civil war: tin types of child soldiers, portraits of important people and places from the war, and pictures of the dead on the various battlefields. Snippets of primary sources such as sketches, letters and images of significant objects are scattered throughout. 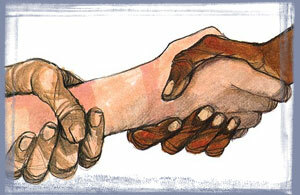 The text is approachable and clear, written in language a young person would understand and respond to. Grade 4 and up. Previous Post Four Great Books about Mothers — Being one, Having one, etc. Next Post Anatomy of a well-rounded summer reading list , or What to read this summer, part 1.